It shouldn't be a surprise that Apple is working on a handful of iPhone prototypes before taking a final decision, but since plans can change on the fly, it's hard to tell which of these projects are going to be finalized and which will be abandoned. However, Digitimes Research senior analyst Luke Lin believes he has the answer. According to him, Apple has four next-generation iPhone projects in the works, but only three of the products will eventually make their debut on the market. 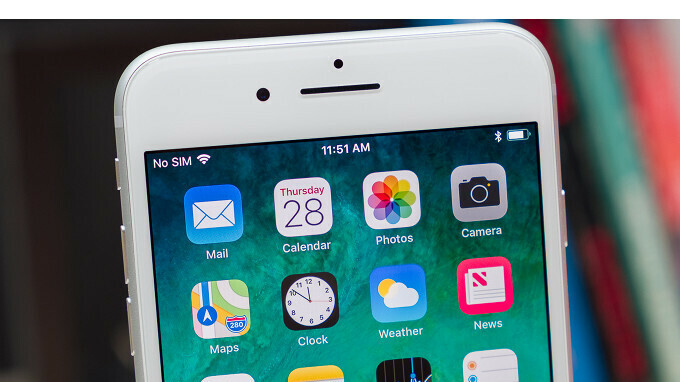 The four iPhone models that Apple is now prototyping feature 5.7- to 5.8-inch LCD display, 6.0- to 6.1-inch LCD display, 6.0- to 6.1-inch OLED display, and 6.4- to 6.5-inch OLED display. Lin claims the iPhone model with 6.0- to 6.1-inch OLED display will not be released by Apple, just the other three. Although Apple wanted to bring to market two OLED iPhones and the 6.0- to 6.1-inch LCD model initially, it now believes that just one OLED iPhone and two LCD models should be outed this year. It's also worth mentioning that all four iPhone models are said to feature wireless charging support and 3D sensing features. Apple has yet to make a final decision, so any of these four iPhone models could be scrapped in the coming months. But these three high-end iPhones won't be the only handsets Apple plans to launch this year. Apparently, the US giant has another iPhone SE model in the works, which should be debuted in May or June. The iPhone SE 2 (or whatever its name) is supposed to come with wireless charging, but it will lack 3D sensing features. Please apple..iphone se2 with minimum bezel and under $300. I agree, but indifferent about the bezel and it probably wouldn't be that cheap. Remember that even when the SE launched, it was $400 for the base storage. Minimum bezel? Hell yeah, but no notch, please. Under $300? As Apple Company CEO's money face, dream on. Under 300? We are dreaming, Apple will be alway about premium the last they experienced cheap i5c it did go to well. Can’t wait to see A12 in new models. Just don’t make the plus version cost no 1400 bucks. A12 might be no good if apps will still run at 60fps and everyday tasks will perform the same as on the iPhone 7. Apple should atleast increase the cap to 120FPS and the App size limit to 8GB for the downloads over the App store. This way we will have more CPU and GPU intensive apps which could take advantage of the power inside the new chip. iPad Pro and iPad 10 Pro already runs at 120fps. First of all, I was talking about the iPhones, not the iPads. Second of all, the iPad Pro 10.5’s screen is capable of displaying 120 frames per second, but that doesn’t necessarily mean all apps run at 120 fps from the get-go. Apps have to have their FPS cap increased to 120 in-order for them to run at a native 120FPS. And as far as I know, most apps are still locked to 60. Even popular games, such as Asphalt 8. Work on overhauling iOS. It's too stale, to boring, needs a slew of more features. It's time to re imagine iOS big time. Don't all the other reports say the 6.0" version has a metal back instead of glass? If so how could all 4 models have wireless charging? They're reports, not Cook standing on stage unveiling them. We need iphone SE X. The iphone se with minimal bezel. And no notch or lack of FPS.